Welcome to the home of the Renegades!!!! The Tri-Town Renegades are very excited about this upcoming season! We are proud to be the newest member of the NorthEast Junior High School Football League! The Renegades represent a partnership between the prior Nor-Rock Vikings and the Epping Red Devils. The combined team, known as the Tri-Town Renegades, reflects the merger of Epping, Newmarket, and Raymond as a combined unit supporting development of athletes with futures in the Raymond, Epping, and Newmarket school districts. The Tri-Town Renegades offer a healthy family environment for our local youth. Whether you're a first timer or experienced player, each player will excel at their own pace and develop the tools needed to play the sport. Tri-Town Renegades offer youth football with a positive social environment. Not only do you learn the sport, our coaches teach the meaning of loyalty, attitude, respect, perseverance, and sportsmanship. 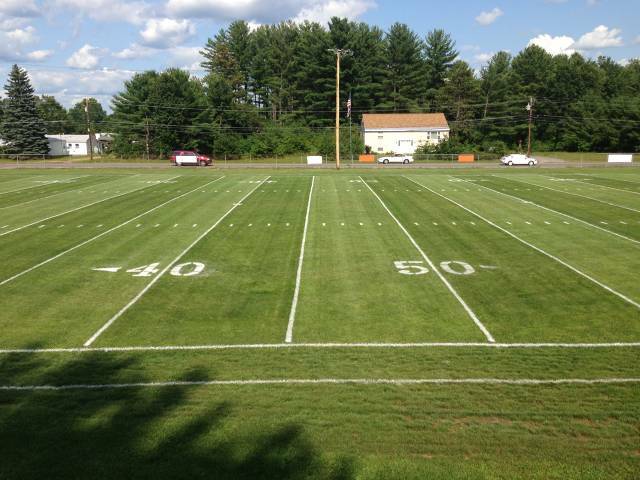 Tri-Town Renegade's field is located in Raymond, NH at 105 Fremont Road. We are equipped with a full concession, scoreboard, and stadium lights for night games. Most necessary equipment is provided by the league and returned at the end of the season.